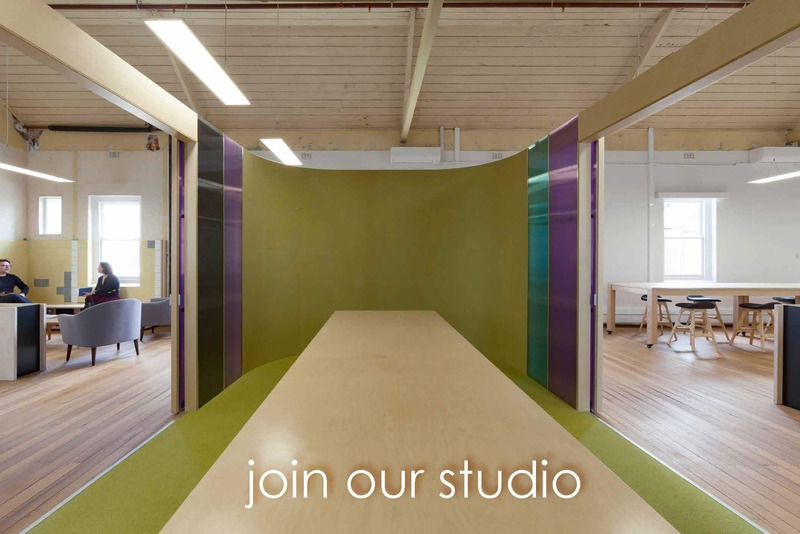 We are looking for students or recent graduates. Part time is an option for the right candidate. Vectorworks would be awesome but not essential. An inquisitive mind, an adventurous spirit, a design sensibility and technical proficiency also essential. 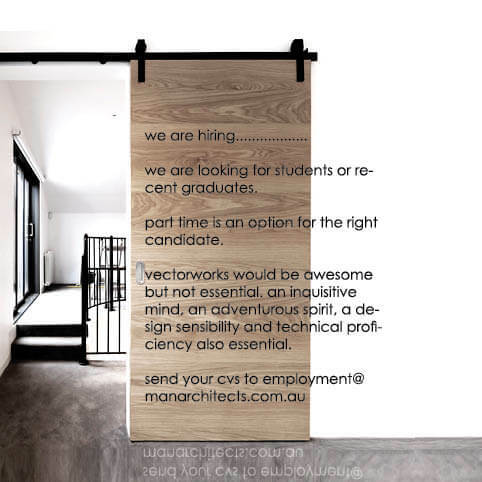 Send your CVs to employment@manarchitects.com.au. 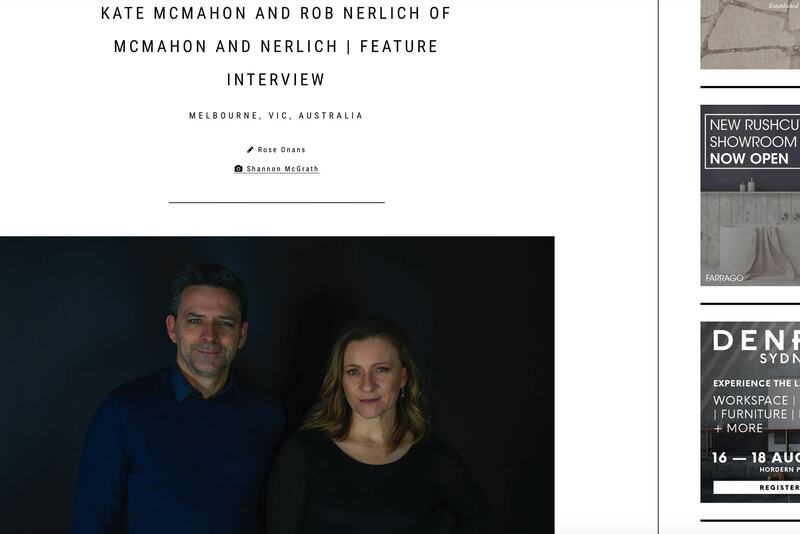 mcmahon and nerlich are hiring …..
we are a boutique architecture studio based in south melbourne, established by directors rob nerlich and kate mcmahon. 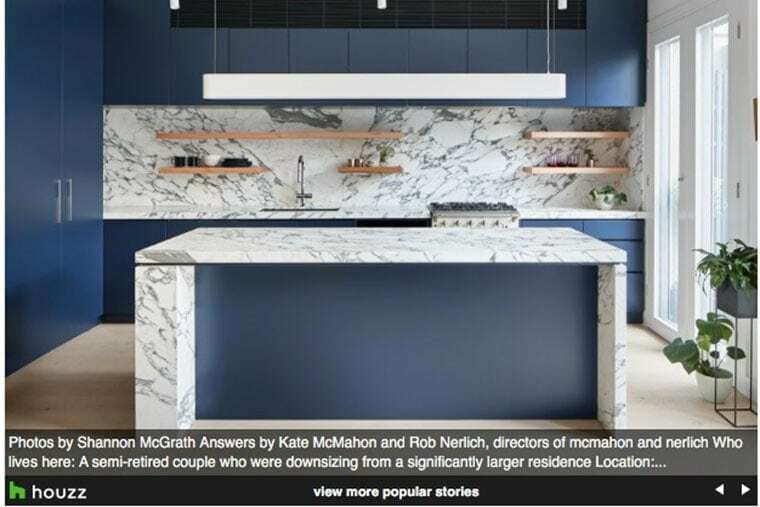 We have an award-winning portfolio of built work across the housing, commercial, hospitality and urban design sectors and a strong practice / process philosophy. 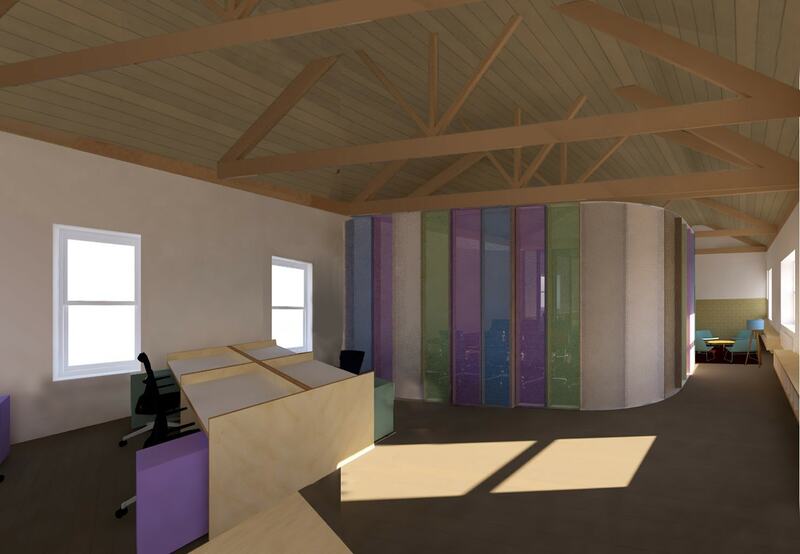 We invite you to stay a while and look at our work….